While aging is a fact of life it doesn’t mean you have to give up and let it take over too quickly. Instead, you can take steps to slowdown the aging process. But first you need to identify just what it is that is aging you. So here is Shumaila’s guide to some of the top signs that make your skin look older and as well as a few anti-aging tips. OK so we all get the odd line when we smile but if you find that they are not going away when your face returns to normal this could be a sign of skin aging. This is because as we age the elastin and collagen fibres that help keep our skin looking firm weaken so the skin starts to look loose and lax which is what causes wrinkles fine lines and crow’s feet. Well there are a number of things you can do to help reduce the appearance of wrinkles and fine lines such as eating right and wearing sunblock. However, one effective cosmetic procedure is using Botox. 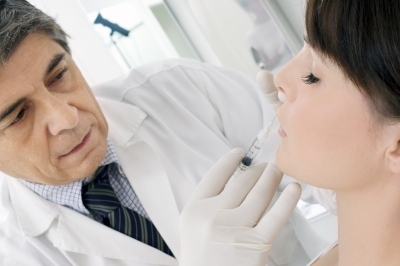 Botox works by blocking muscle contraction so will smooth out any lines or wrinkles. Another option could also be dermal fillers as they can help aid the production of collagen so enhance the volume, texture and elasticity of the skin. As you age your once glowing and radiant skin can start to look a little bit dull and lacklustre. This is because the top layer of your skin starts to lose moisture as it gets older. In fact while young skin renews every three to four weeks it takes older skin four to six weeks to renew. It’s really important to keep your skin moisturised as well as thinking about your makeup (look for formulas that promise to infuse light a dewy makeup will help you look younger). Also things like regular facials will help keep your skin moisturised. As we age our skin tone can become uneven. This could be because some parts of the skin contain more melanin or due to fluctuations in hormonal levels. This however, can make your skin look far older than it actually is. Well one possible solution could be a CACI non-surgical face lift. A CACI non-surgical face lift can help increase collagen so can help reduce fine lines and wrinkles as well as skin pigmentation. While a derma-roller treatment uses a roller with fine needles on it to prick the skin which encourages the production of collagen and this can help reduce pigmentation. Because your skin loses moisture as you age dry skin can be a real sign of aging. The solution is really simple it’s important to keep yourself hydrated by drinking lots of water and using a good moisturiser as well as getting regular facials. As the skin ages it starts to thin so tiny blood vessels can become visible leading to a blotchy look. While age spots are reddish brown and are mostly caused by over exposure to the sun and are more prominent in aging skin. Well both a CACI non-surgical face lift and a derma-roller treatment can help in this case as they both help produce collagen which plumps up the skin so stops the signs of thinning skin. Just because you are getting older doesn’t mean that you have to take it lying down. Instead, with a few tricks you can stay looking young for far longer.